Be persistent – keep doing until you get the results you desire. Be persistent – keep doing even when THEY tell you it is impossible. Be persistent – keep doing despite the circumstances that come against you. 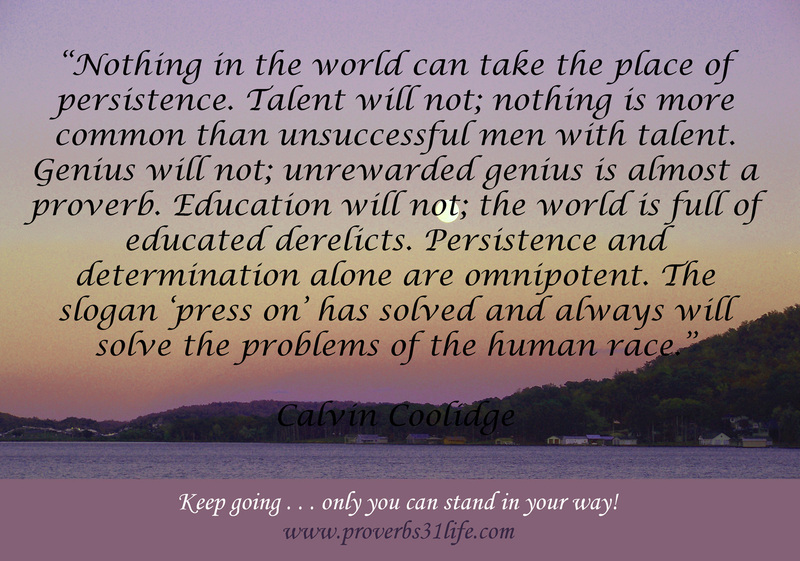 Be persistent – and through your persistence you will see your dreams become so much more.